Bevacizumab Increases Risk for Severe Proteinuria in Cancer Patients, a recent paper in JASN 2010 talks about a systemic and meta analysis of this drug in prior trials. An interest to me is this field of onco-nephrology where chemotherapy agents are causing damage and we can really learn a lot from them about podocyte biology. As we all know now that anti VEGF agents like the above mention cause proteinuria via similar mechanism as seen in pre eclampsia. Its podocytopenia. This paper analyzed 16 studies of over 12,000 patients and different tumors. 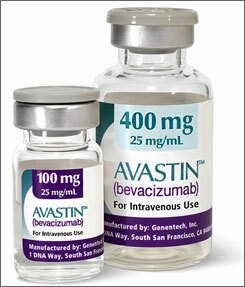 When avastin was added to other chemo agents, the degree of proteinuria was significantly higher. The cancer with the highest proteinuria risk was renal cell cancer. this might be because usually these individuals getting this drug already have a nephrectomy decreasing their nephron mass.